Hodges Queen Standard Quilt Cover. 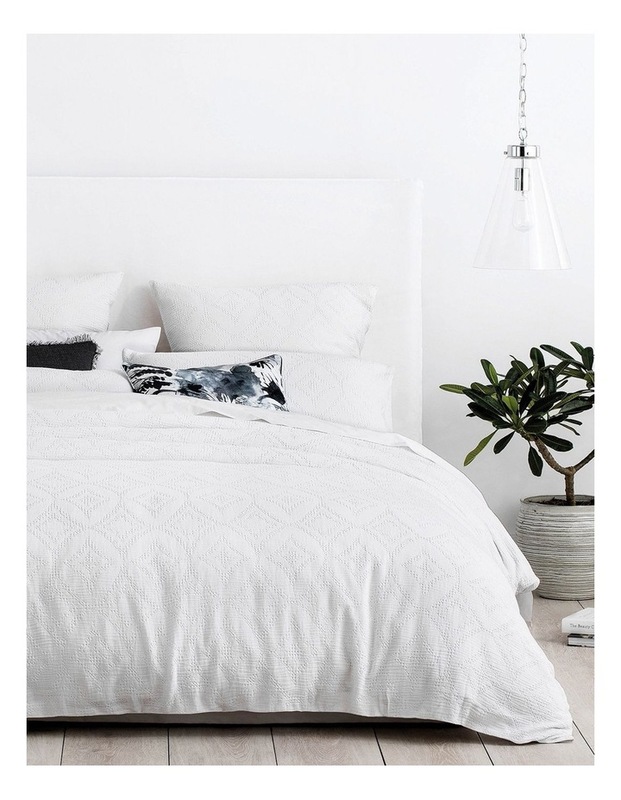 Adding to our white-on-white weave collection, our Hodges design creates an updated look with its geometric design. 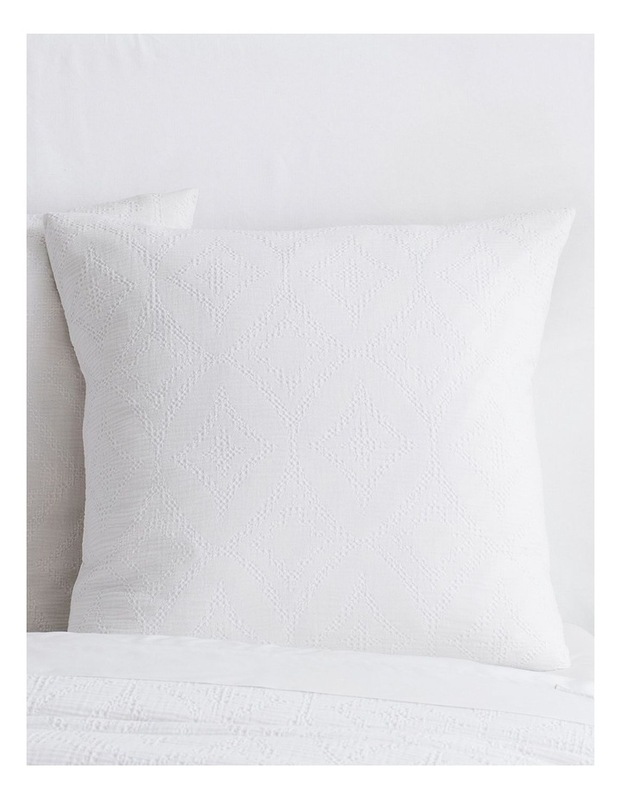 Crafted by our Sheridan Master Weaver, this 100% cotton, waffle-like weave features a diamond motif. 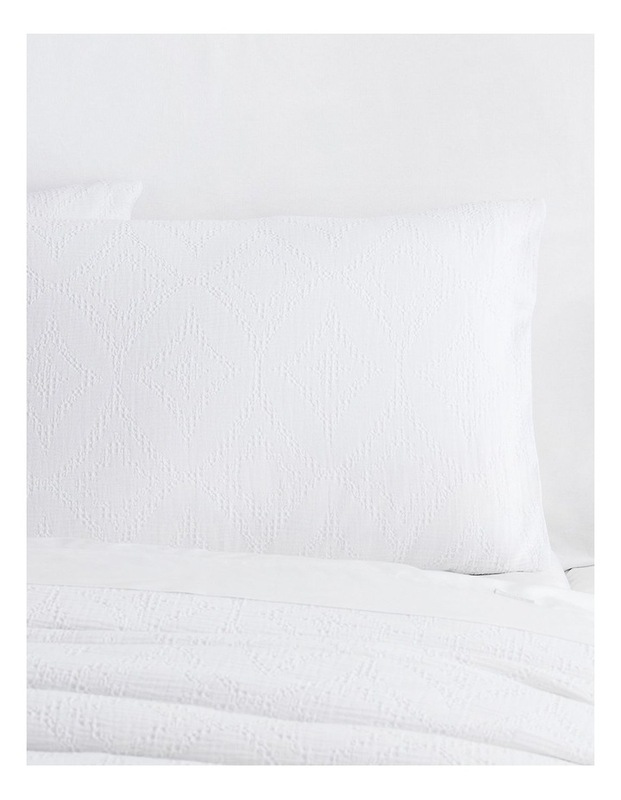 Featuring classic texture with a twist, this design will suit a modern or classic bedroom style.